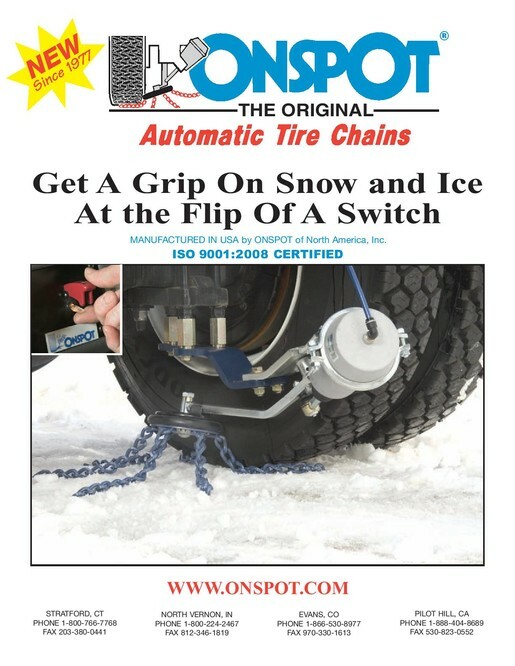 The Onspot Automatic Tire chain offers the traction of a single set of conventional snow chains at the flip of a switch, without having to stop the vehicle. An electric switch mounted in the cab provides 12 volts to an air solenoid mounted on the vehicle's frame rail. Compressed air to the solenoid is supplied from either the vehicle's onboard air system or a 12-volt compressed air kit. Six lengths of chain spaced at 60-degree intervals on the chainwheel ensure that there are always two (2) chains between the tire and road surface whether you are accelerating, braking or are in a wheel lockup condition. The traction from the chainwheel is obtained in forward OR reverse. When the dashboard switch is turned off, the solenoid exhausts the air provided to the chain units and return springs in the air chambers bring the chainwheels back to their resting position. 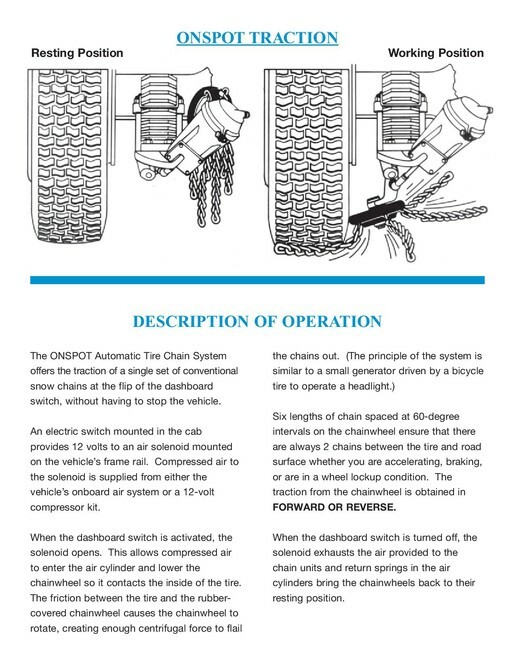 The ONSPOT Automatic Tire Chain System allows the operator to engage and disengage tire chains at the flip of a dashboard switch, in forward or reverse, without stopping, to enhance traction and braking in snow and ice conditions. 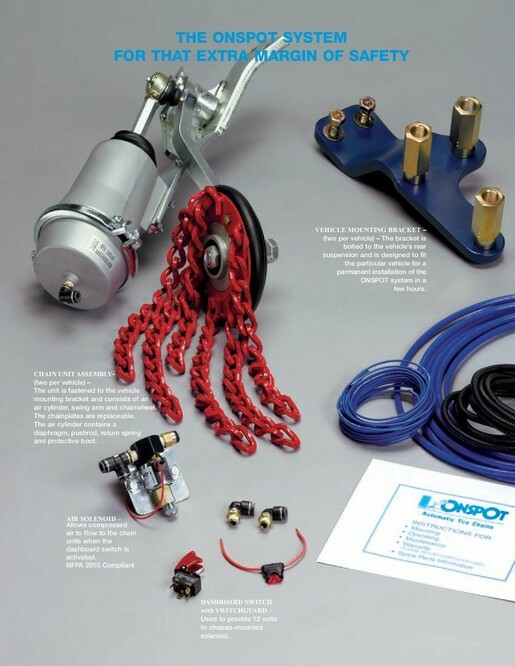 ONSPOT is permanently mounted so the vehicle is always prepared. 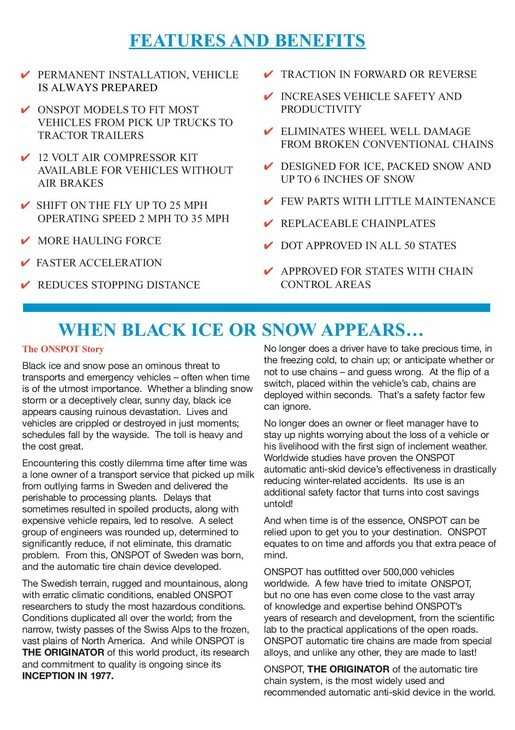 ONSPOT reduces conventional chain mounting/removing. 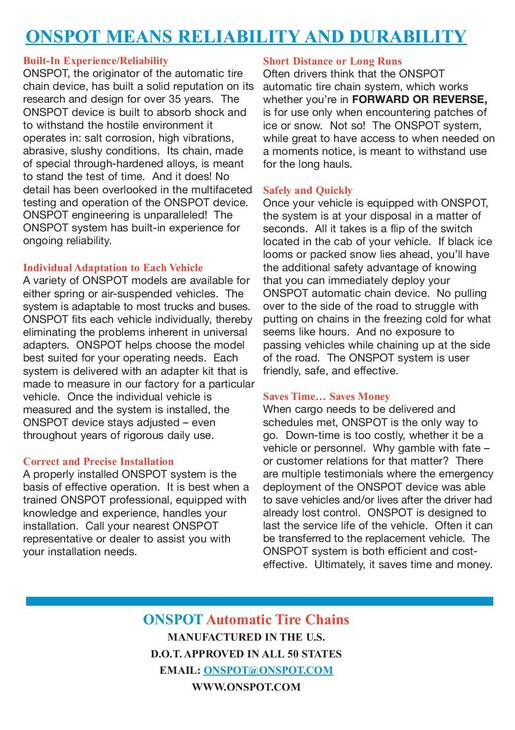 ONSPOT eliminates wheel well damage from broken conventional chains. 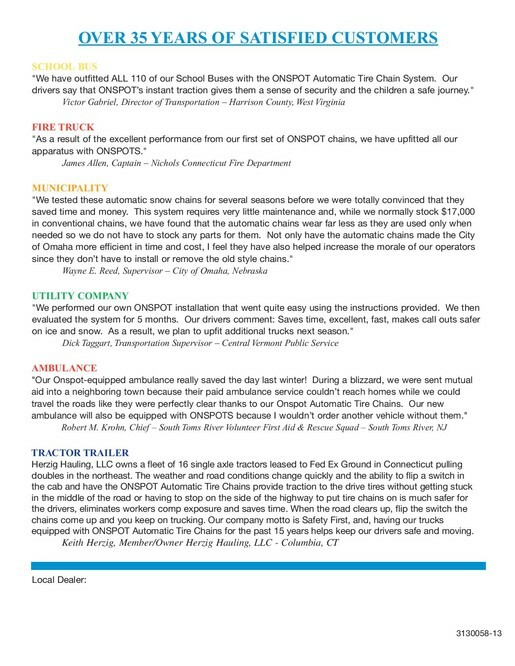 ONSPOT chains last longer as they are used only when needed. ONSPOT is D.O.T. 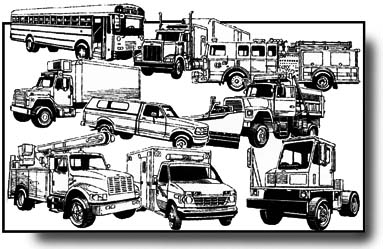 approved in all states, including the mountainous chain control areas of Colorado and California.